Boris FX | Why Use Plugins with Adobe Creative Cloud? 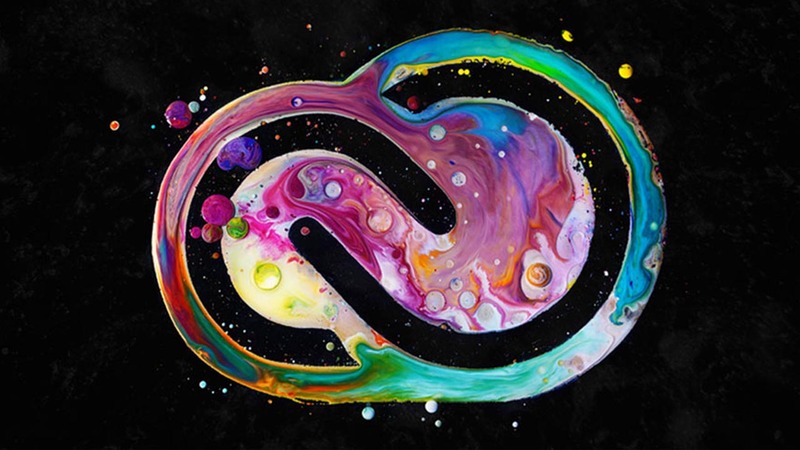 As everyone already knows, Adobe makes beautiful software that has revolutionized the post-production industry. Imagining (or remembering!) the world before Adobe After Effects and Adobe Premiere Pro can induce cold sweats and panic attacks amongst even the most seasoned editors, motion graphics, and visual effects artists. But what makes AE and Premiere so good? One main reason is the strong and robust plugin market. So, What Exactly is a Plugin? While you can do amazing things with your Adobe software, to really unlock its full potential, third-party developers have created amazing software tools called plugins. These little applications plug into After Effects and show up in the application and appear like any other stock tool that comes bundled with After Effects. Think of After Effects with no plugins as a high-end automobile, let’s say a nice BMW. It’s a beautiful car, and overall a stunning piece of machinery. But, it’s also pretty common. 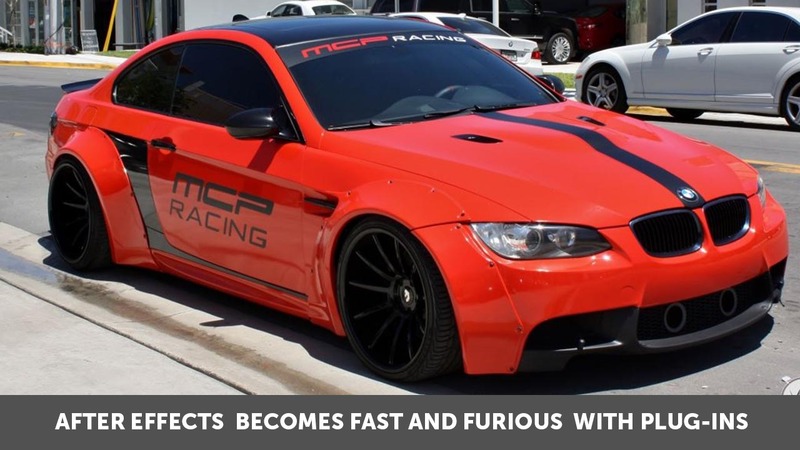 Now, imagine that same BMW as you might see it in one of the Fast and Furious movies - fully tricked out, loaded up with tons of after-market parts and tuned up to perfection. This is After Effects loaded up with all the best plugins. Both cars can get you where you want to go, but one will get there a lot faster and lets an experienced driver drive in a way that will shock and awe. You’ll find that as you work with and explore plugins, you will save time and energy, making your work life a little easier. Often a four-step task can be solved in one with the right plug-in. Saving time here and there adds up over the course of a project. Plugins make it possible to do tasks inside of After Effects that you never could imagine possible, such as creating stunning color graded looks with the application of a simple preset, adding photo-realistic particle systems like smoke and fire, and performing magical tricks like automatically removing an unwanted object from a piece of video. Knowledge of the right plug-ins is a huge leg up for an aspiring artist and a real asset. Sapphire - An Example of a Plugin The Sapphire suite of plug-ins has been around since the early days of Adobe AE and for good reason. It’s a complete set of tools used by many of the world’s best artists and editors. 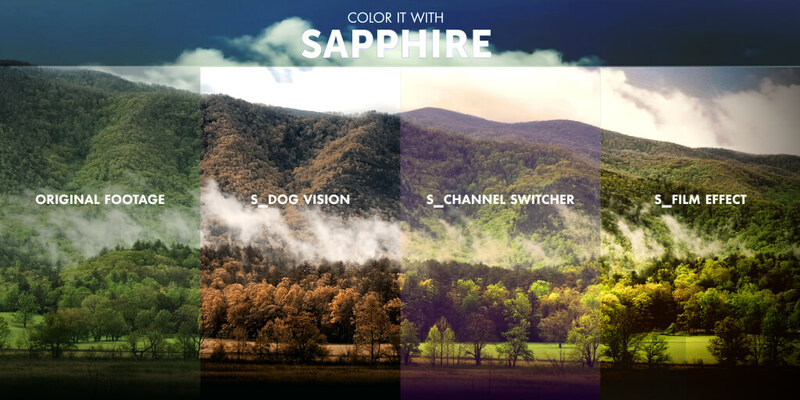 You see Sapphire everywhere - movies, trailers, commercials, television programs, YouTube videos, and music videos. It’s used in all these mediums because it’s not just one plug-in. Sapphire is a suite of over 260 different plug-ins. Creating incredible lighting effects, like adding photorealistic lens flares to images. Designing a beautiful color treatment that can spice up a blah piece of video. Adding purely abstract creative effects, like making somebody’s eyes bulge out or creating a mind-bending psychedelic treatment. Ready to Test Drive a Plugin? Artists often say they love Sapphire because of the quality, ease of use, and the depth of the effects. Download a free trial of Sapphire, and experience how much it adds to Adobe CC for yourself!